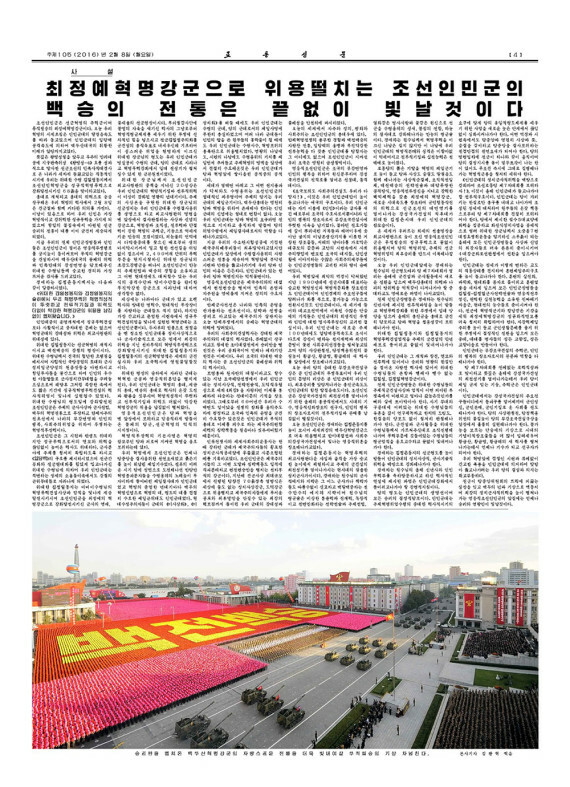 Seldom do North Korean’s see such a colorful 3-page spread in the daily Rodong Sinmun newspaper as they woke up to on Monday. 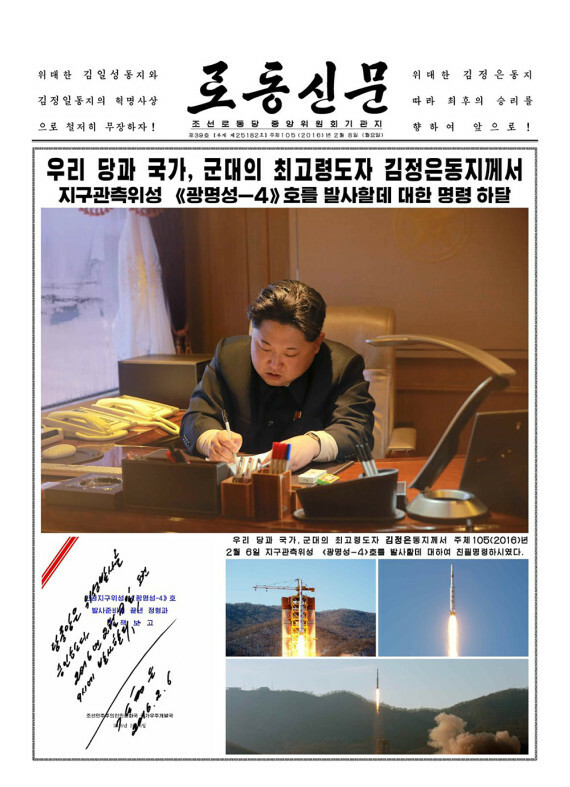 The front page carries a picture of Kim Jong Un signing the launch order for the satellite on February 6 — something that wouldn’t be reported by North Korean media until after the launch attempt — and photos of the rocket launching. The headline is announcing that he signed the launch order. 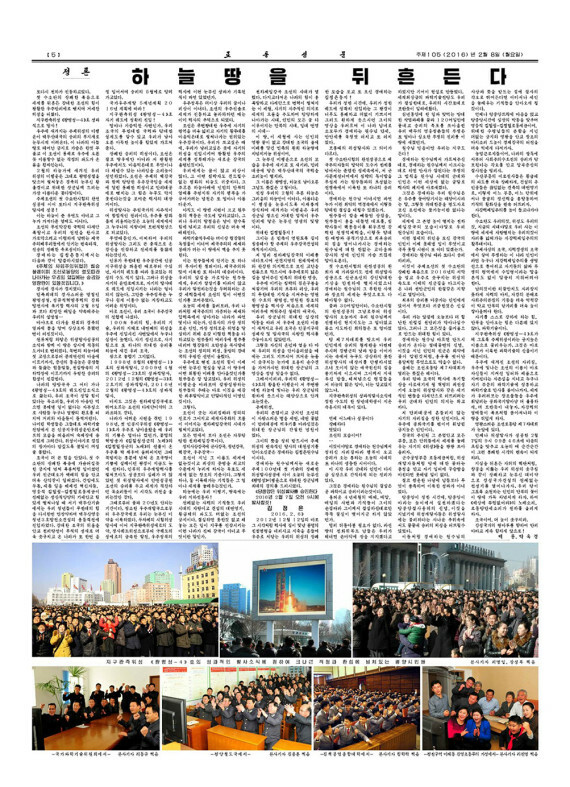 The second page, carried the main news story, which was similar to the bulletin issued by the Korean Central News Agency. 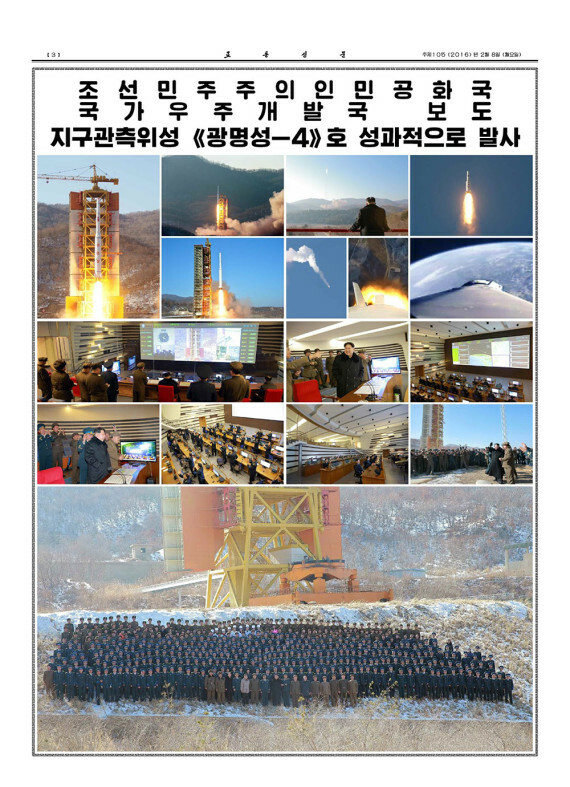 And the third page had all of the other images released to date by state media of the launch, the scenes in the control room and the workers who made the launch happen. The newspaper is published daily and runs to six pages. It closely follows the news North Koreans receive on their television and radio programs. 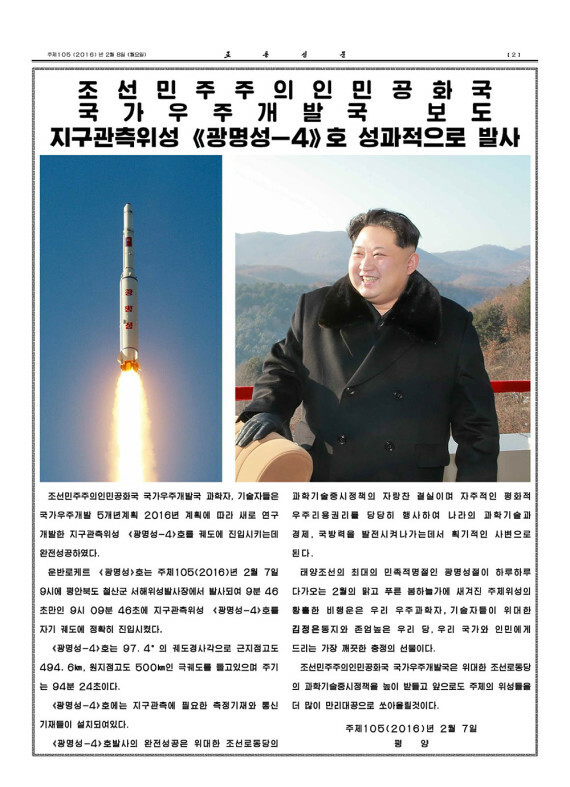 The rest of the newspaper was crammed with satellite launch news, including reaction from citizens. 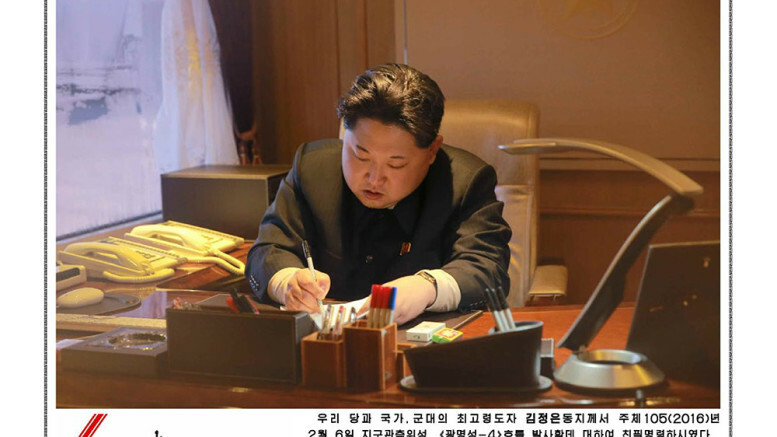 It can have left North Koreans in no doubt that the leadership viewed the successful launch as a very big deal. Page four is the editorial.